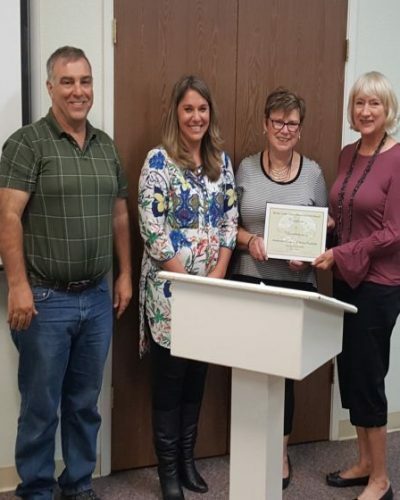 In recognition for her service as Treasurer, Finance Manager and dedicated volunteer to Assistance League Sierra Foothills, ALLIE CHAPPELL received the members appreciation award. Barbara Brown has been called the VOR (Voice of Reason), she is the wheel that makes so much of what we do move forward. She is highly dedicated to our chapter and involved in most all aspects of its ensured success. She can wear many hats and get it all done! 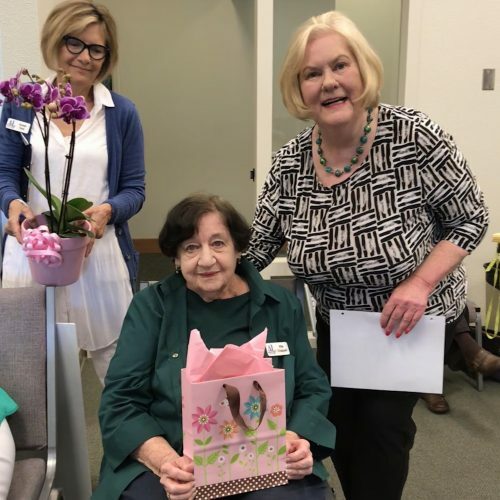 Award presented by Sue Nelson to Barbara Brown on March 28, 2018. 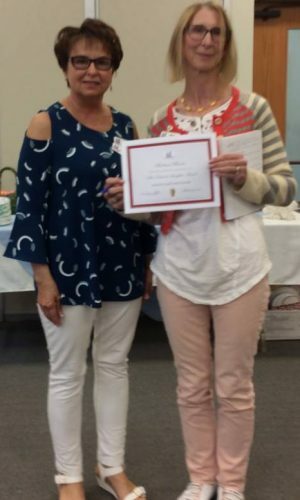 Debbie joined our chapter in 2012. Since then, she has not passed up the opportunity to assist, support, contribute and lead. She has unlimited energy, a can-do spirit combined with a fearless brand of creativity. As a relatively new member, she assumed a major leadership position, knowing that there would be learning as you go. In doing so, she understood how to relate to new members joining committees, providing specifics and guidance as needed when making a request or assigning a task. Members have expressed their appreciation of this style of leadership, because it provides a level of confidence toward a successful task completion and willingness to volunteer again. Using a forward thinking prospective, this member also has initiated innovative ways to increase our earnings, continuing the most successful strategies while retiring the less successful. In our chapter’s infancy beginning in 2008, Barbara initiated the concept of staying in touch with all our members. 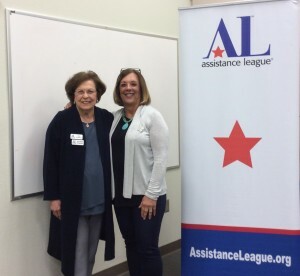 Since then, she has worked tirelessly n front of and behind the scenes to make Assistance League of Sierra Foothills a household name, often serving as our visionary. Barbara has left our membership in awe of her energy and problem solving ability as well as her “can-do” spirit. She has accepted and perfected new challenges often having little experience for the task at hand. Somehow, this woman has found ways to perfect the required skills. She has supported the President/Board in achieving chapter successes. Her sense of style and display to our fundraising events, often going beyond expectation … an inspiration for others to follow. 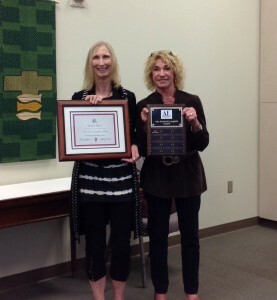 Barbara was presented with the Ada Edwards Laughlin Award Recognition and framed certificate. Her name is the first to appear on this plaque where names of future honorees will appear. 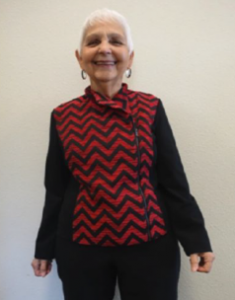 As a relatively new member, Judy has enthusiastically embraced our programs and fundraising events. This creative artist is well known in the United States and Asia for her contemporary ink painting. She has used these skills to create and direct table decorations at our fundraising events and for leading creative activities for the S.M.I.L.E. Committee activities. Judy’s two professional and philanthropically minded daughters have each been behind the scenes donors to our fundraisers and in a public recognition of our chapter.